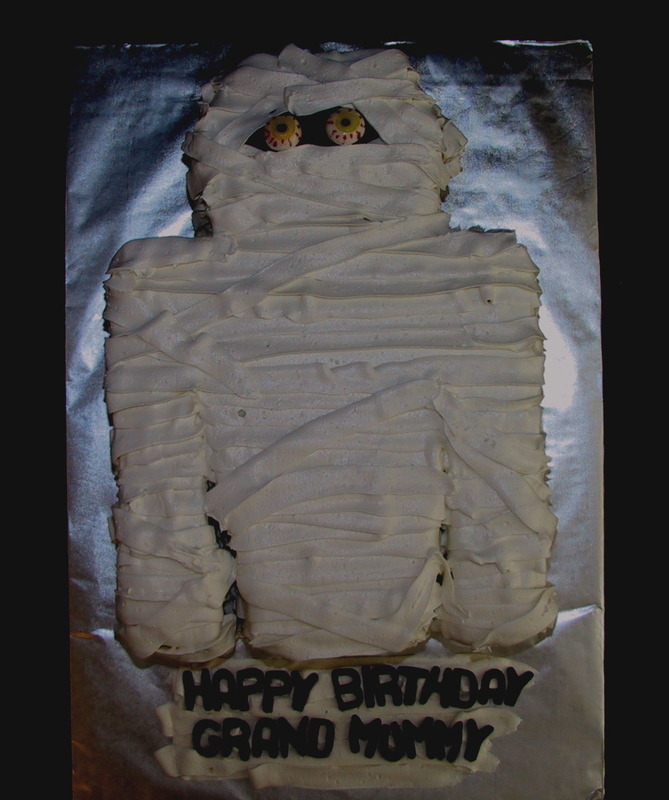 This spooktacular birthday cake was created for a grand mummy’s Halloween birthday party. 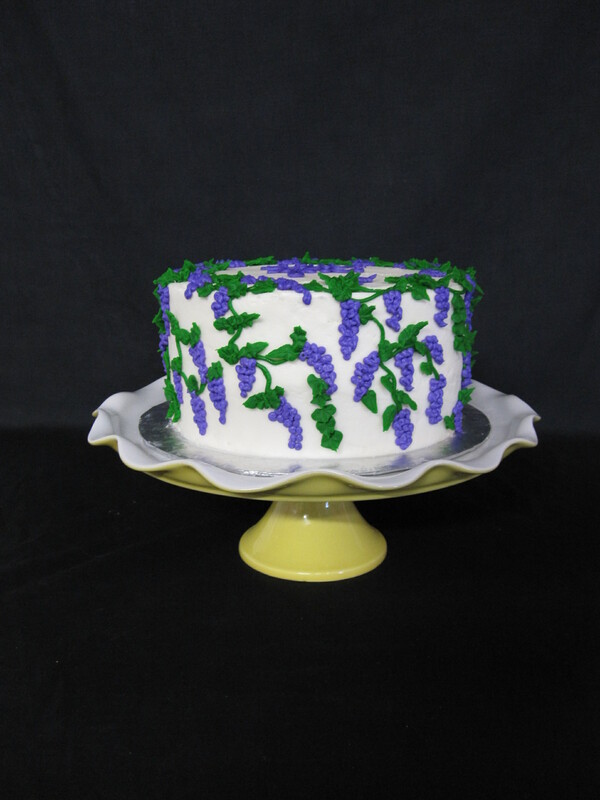 The cake was Italian Cream with a vanilla buttercream icing. 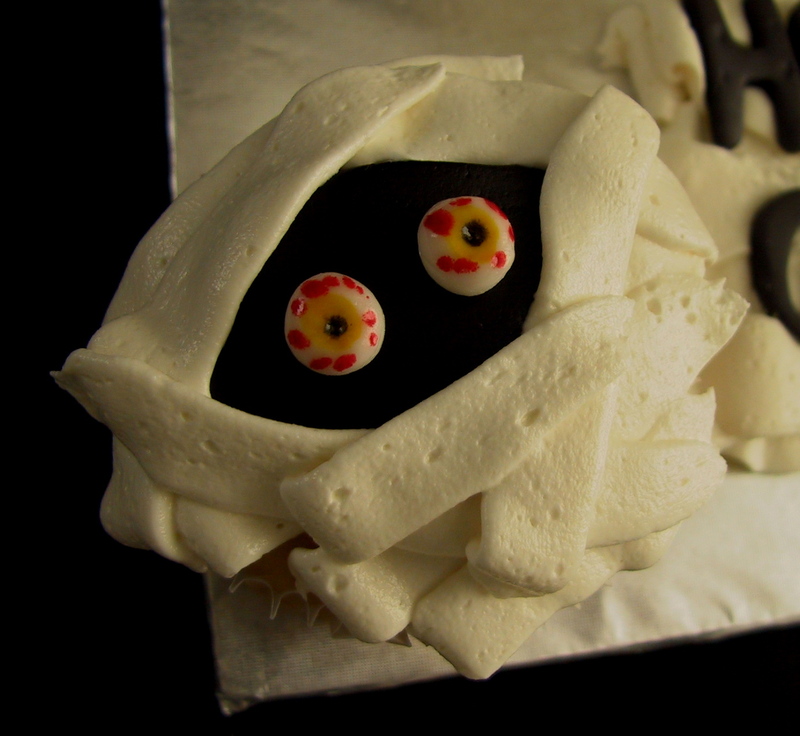 The eyes were made out of marshmallow fondant and colored with edible markers. 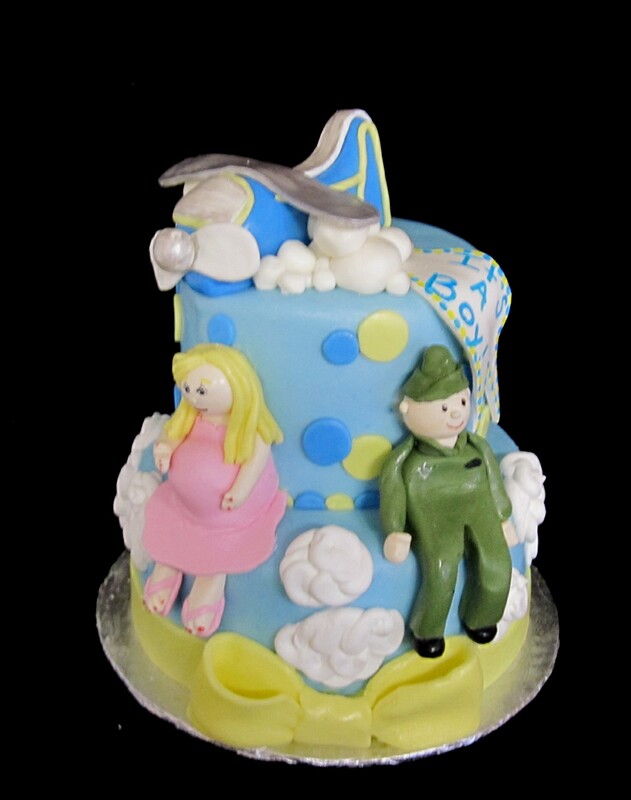 The cupcakes were made to look like little mummy heads.